Now that the renovation project is done and the last workman has finally left his previous set of muddy bootprints on your new kitchen floor, it's becoming painfully evident that there is still a sizable job to be done in cleaning up after the fact. 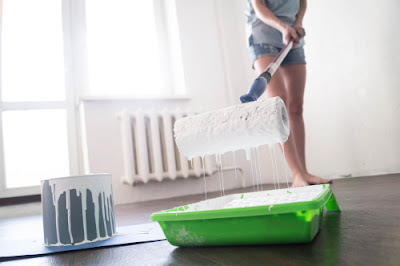 There's dust, sawdust, paint splatters, labels and smudges on windows, pieces of plaster and putty - the list goes on and on, and you're not even sure where to start. It may be a good time to call in an after builders cleaning service but if you decide to save the money and do it yourself, there are a few things to keep in mind. Dust from renovation hangs in the air and finds its way under skirtings and in between floorboards where it can lurk and seep out gradually for weeks. Then there are the unavoidable scuffs, stains, tiny and inevitable paint splatters and remains of sticky label adhesive on the glass. It all means weeks of renovation cleaning. Search the web and you'll find any number of tips and comments on after-build cleaning of which the following are just a small selection. All surfaces, including ceilings and walls, have to be cleaned after a renovation. Immediately after renovation, it is not advisable to sweep floors with a broom. Vacuum them instead, even if you have hardwood and tile floors. Try vacuuming every day and mopping the floors every other day. Dry dust or sweep all walls. 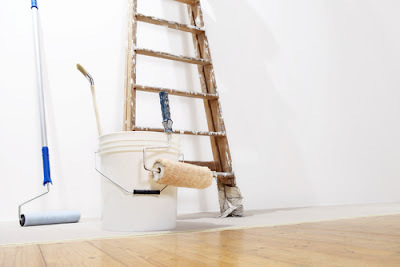 It's necessary to remove the harmful drywall or sawdust left clinging to surfaces after construction. Use a pail full of warm water with a cup full of vinegar added.Mop the floor thoroughly. The floor should be inspected for plaster dust or an overall dull-looking appearance. Mop the floor again, if necessary. 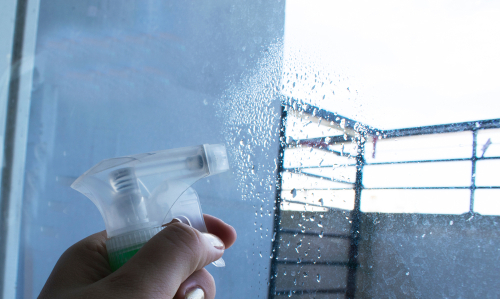 Apply rubbing alcohol to labels on appliances and windows to eradicate them without damaging the finish. All this work afterward for the householder who has spent weeks juggling family, job and significant home renovation project can add weeks before the appointment feels wholly done and can also diminish the pleasure of enjoying both a job well done and the enhancement to the home that was the point of it all. There's one easy solution, which is to get in a specialist renovation cleaning company to do an in-depth and thorough job. They will have the specialist, more powerful tools and equipment to do the job accurately and thoroughly in much less time. Offering a renovation domestic clean could also provide a new business opportunity for companies specializing in this field. It is crucial for the cleaning company to have a meeting with the company's project manager to gather information about unique materials used and what products and materials can be used for cleaning them without damage. Renovation cleaning technicians will then be able to arrive on site fully equipped with the best equipment, all safety clothing and materials for the work. Using a commercial cleaning company, no matter how careful the renovators have been, will almost certainly mean moving into new or refurbished buildings can be done more smoothly. It is so much more comfortable, and efficient, to install furniture and other equipment then move into a building that is clean, well ordered and ready to use. There should be no stray nails, paint splashes, dust, sawdust, smeared windows, loose fittings or any other issues if a professional cleaning company has done an inspection. Their knowledge of the way building contracts can sometimes overrun or turn up last-minute problems means most specialist renovation cleaning companies have resources to do the clean-up. They should be able to demonstrate that they take Health and Safety very seriously and their standard practice should include a proper risk assessment at the site and an appropriate statement of the cleaning methods to be used. The attention to detail they apply will give them information to supply a full report of all the work they have done as part of the clean-up and can also highlight anything that needs attention by the builders. It's possible that the cleaning company may also offer induction, retraining and regular H & S audits for the staff who will be using, maintaining and cleaning the building once it has been handed back to its owners. It may be an extra cost but a specialist renovation clean is an investment that could be particularly important for peace of mind in any renovated home. It cuts down the amount of time needed for moving in and also allows for the people who are to use it to get going quickly and efficiently, which is an essential consideration for any organization that people depend on to supply essential services. Moving into an already clean and fully functional building can be useful for family morale too if after a period of disruption during building renovation they find everything in working order with no risk of damage to clothing or possessions. It's so much easier to let a professional handle the job if you can afford it. A good renovation cleaner can save you a lot of time and headache, and they have the experience and tools to make the job manageable. More and more renovation cleaning companies offer services to homeowners who have smaller cleanup jobs; some even specialize in home renovation cleanup. You might be able to arrange a one-time visit if you're on a budget and most firms will be happy to show you how to finish the cleanup on your own. Contact one of the companies that specialize in home projects - for renovation cleaning offers lots of choices in every neighborhood and for every budget.